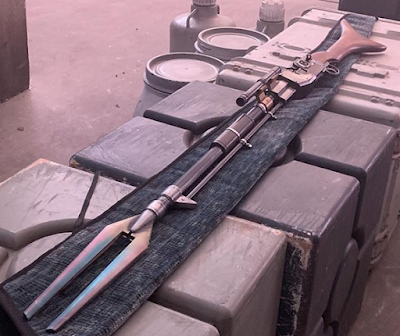 The weapon in the first picture is also something of a call-back to a relatively obscure piece of Star Wars lore, the infamous 1978 Star Wars Holiday Special. The special itself is widely derided (George Lucas disowned it and it has never been officially released since its original airing in November 1978), however its one redeeming aspect is a short cartoon which introduced the bounty hunter Boba Fett. Fett, who was the first character we ever saw wearing Mandalorian armor, is depicted in the cartoon as wielding a similar weapon to one Favreau featured on his Instagram. It's clear that Favreau is a massive Star Wars fan, having already voiced two characters in different projects prior to serving as showrunner on The Mandalorian (one of those roles being Mandalorian warrior Pre Vizsla on The Clone Wars). So it's cool to see that he (and his impressive roster of directors) are managing to work in some fun Easter Eggs to his upcoming series. 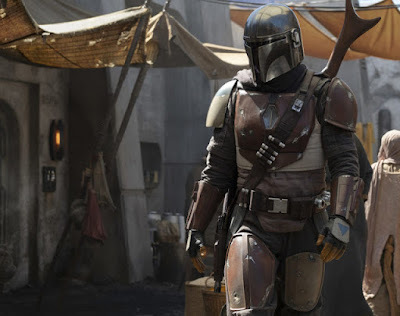 Even though we're many months away from the release of the first season of The Mandalorian, hopefully we continue to see fun looks behind the scenes. Both officially and unofficially. This actually took me a while to figure out why the weapon was speical until someone pointed it out to me.